1.Open ubuntu software center.To open ubuntu software center click the Dash home from unity launcher.And type ubuntu software center in the search field.Then click ubuntu software center. 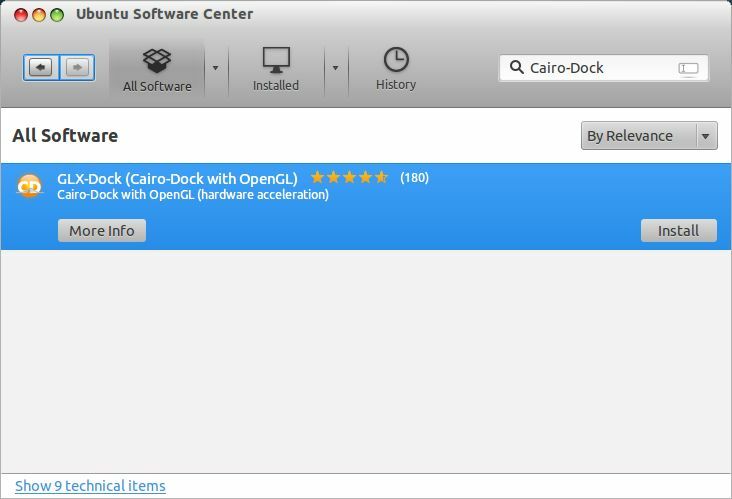 2.Type Cairo-Dock in the search box. 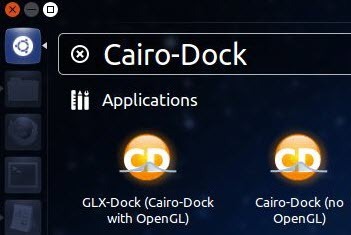 3.Select GLX-Dock (Cairo-Dock with OpenGL) and click install button. 5.After the successful installation click the Dash home from unity launcher.And type Cairo-Dock in the search field.Then click Cairo-Dock.